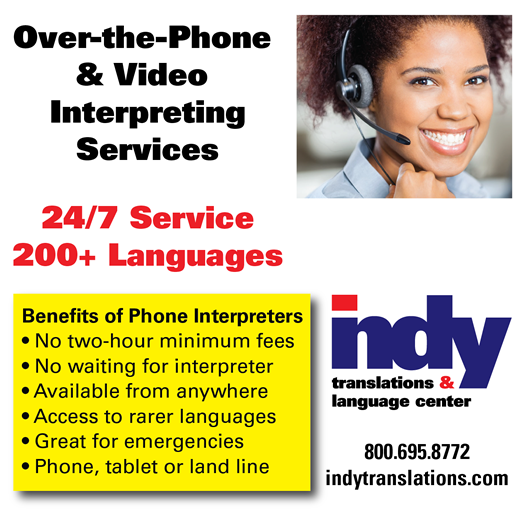 Do you have an emergency or a last-minute meeting and need an interpreter fast? Can't wait for an interpreter to come out to you, or just need one for a few minutes? Then telephone interpretation is just what you need. We will get a professional interpreter on the line quickly and affordably. Our on-demand telephone interpreting services are available in over 200 languages, 24 hours a day. If you know in advance when the interpretation will be, we can schedule it in advance and call you at that time with an interpreter on the line. We work in all industries and subject matters (legal, medical, business, government, education, commerce, tourism, etc.). Please contact us to set up an account to have access to telephone interpreters any time day or night. HOW TO ACCESS A TELEPHONE INTERPRETER? Accessing an over-the-phone interpreter is easy. You have three options. You can sign into your account from any browser, use our smartphone app or dial a dedicated interpretation number from a regular landline phone. From your computer or app, just choose the language you need and press connect. You will be routed to the first available interpreter, typically within 30-60 seconds. Billing starts once you and the interpreter have connected. From a landline, you will need to dial your dedicated number, add the language code and your PIN. Telephone interpreting rates start at $1.49 per minute for Spanish with a contract. More information is available by clicking the 'Sign Up' button below, or call one of our account representatives at 800-695-8772. We have a useful language identification chart that you can download. It includes some of the most common languages, with the name of the language and dominant country flag.